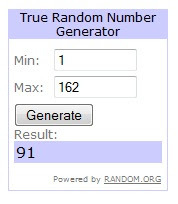 Babblings of a Mommy: Mimi Boutique Giveaway Winner!! Thanks to everyone who entered the Mimi Boutique Giveaway! It's officially closed and we now have a winner!! Congratulations Wendy R!! You're walking away with the super cute bow clutch and scarf! I'll be emailing you shortly. For those of you who didn't win this time--sorry, but keep a lookout for more fabulous giveaways to come! !